'Coco' El Mariachi Coco de Santa Cecilia show joins Epcot's Festival of the Holidays. El Mariachi Coco de Santa Cecilia is now playing through January 6, 2018 at the outdoor character meet and greet location in the Mexico Pavilion. Show times are typically 11:15 AM, 12:15 PM, 1:00 PM, 2:15 PM, 3:15 PM, 4:30 PM, 5:45 PM. The Donald Duck meet and greet can be found inside the temple. The long awaited reopening of the Magic Kingdom's Hall of Presidents will take place before Christmas according to sources familiar with the matter. Originally expected to close from January 17 through to June 29 for the update, the show has remained closed throughout the year. Speculation in the media had suggested there were various issues with the White House taking part in the attraction, which Disney moved quickly to dispel. This is the statement posted to the official Disney Parks Blog in June. "Since the Magic Kingdom Park opened in 1971, The Hall of Presidents has brought together a one-of-a-kind look at the office of the President of the United States through film and the magic of Disney’s Audio-Animatronics technology. Despite some media reports to the contrary, President Trump will have a speaking role in The Hall of Presidents, like every president since 1993. We have been working closely with the current White House — just as we have with previous administrations — and the president’s recording session has been scheduled. The attraction will re-open in late 2017. Whenever we refurbish one of our attractions, we take the opportunity to consider a broad range of enhancements. In this case, The Hall of Presidents is getting a new show, and a complete theater upgrade including a new sound system, lighting and high-definition projection system. The multi-screen viewing experience you may have seen in prior versions of the attraction is returning with an even wider vantage point of our country’s history." Disney also took to Twitter, and specifically named an inaccurate report. "The Vice report is inaccurate. As we have stated, President Trump will have a speaking role in the Hall of Presidents like every other president since 1993. We have been working closely with the White House and the president's recording session has been scheduled. We have repeatedly stated that the attraction will re-open in late 2017." Signage is now up at The Edison ahead of its opening later this winter in The Landing district of Disney Springs. Patina Restaurant Group is also offering you a chance to win an exclusive guided walking tour of Maria & Enzo’s, Enzo’s Hideaway, Pizza Ponte and The Edison prior to their grand openings later this winter. You can enter the contest at the link below. 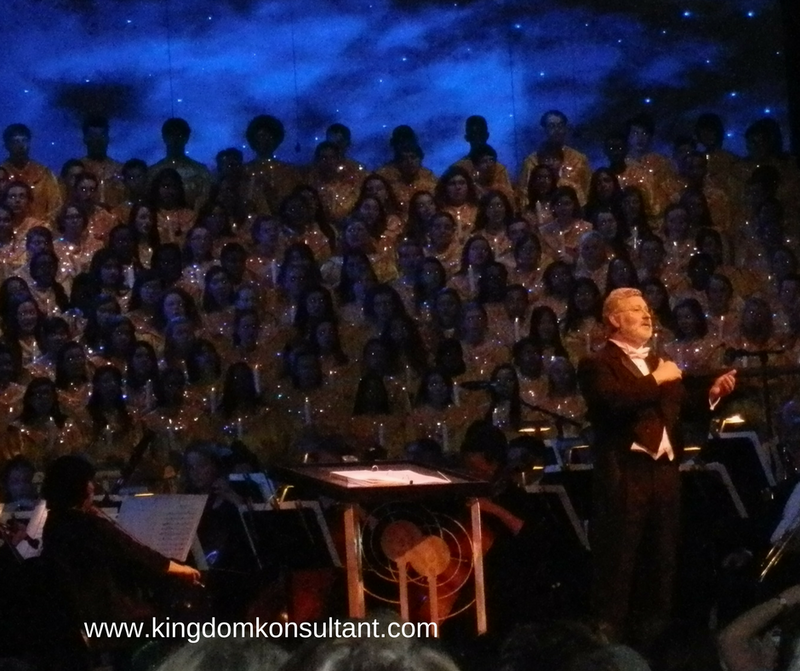 The 2017 Candlelight Processional got underway this past weekend, with Olympic gold medalist Laurie Hernandez opening the show. 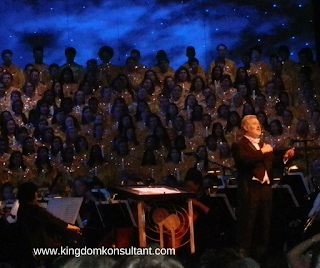 Part of the Epcot International Festival of the Holidays, the Candlelight Processional is a retelling of the Christmas story as told by a celebrity narrator accompanied by 50-piece orchestra and a mass choir. The show takes place at the America Gardens Theatre each evening at 5:00 PM., 6:45 PM and 8:15 PM Nov. 24-Dec. 30, and is included with park admission. Patina Restaurant Group has today announced the appointment of Chef Theo Schoenegger as Executive Chef of its new Italian concepts Maria& Enzo’s Ristorante and Enzo’s Hideaway Tunnel Bar opening this winter at Disney Springs. One of the most influential Italian chefs in New York history, Theo’s cooking at San Domenico and Palio set the standard for authentic Italian fine dining. A rare chef with versatility to do rustic, more casual food and also elegant, Michelin-level cuisine, Schoenegger is at the top of his game. Now with these new Disney restaurants, he will shift his focus to Sicilian and Roman cuisine. Prior to his work in Las Vegas, Schoenegger spent four years at the helm of Patina Restaurant Group's signature location, Patina, located at the Walt Disney Concert Hall in Los Angeles. The four star restaurant allowed him to combine his Italian roots with traditional French technique and modern execution. There, he received rave reviews from the Los Angeles Times, received a Michelin star and a Relais & Châteaux rating (only two restaurants in Los Angeles have received this honor). While in California, he embraced cooking with wide-ranging ingredients while keeping dishes contemporary and innovative. Schoenegger has traveled all over the U.S. cooking in various kitchens including Aquoria in Palm Beach and Rock Center Café in New York. In 1986, he was a young chef that had the opportunity of a lifetime. He moved from Italy to Midtown Manhattan to work for legendary restaurateur, Tony May, at Palio and at San Domenico, two of the premier Italian restaurants in the country. He showcased his passion for Italian cuisine and set the bar for future chefs who still use his recipes today. Raised in San Candido, Italy, Schoenegger recounts working on his family's farm and cooking in the kitchen with his mother. Growing up in the mountains, his mother taught him about utilizing what they had locally and showcasing the natural flavors of the ingredients. To this day, he credits his mother as being the most influential cook of his entire career and feels he inherited her passion for food. Schoenegger will now incorporate his knowledge and technique for Italian cuisine leading the culinary teams at Maria & Enzo’s and Enzo’s Hideaway Tunnel Bar. The new restaurants will bring a casual elegance to Disney Springs with a blend of star ingredients embedded in elaborate, multipart compositions while keeping the simplicity they demand. Presentation and service will include varieties of amuse bouche upon being seated, a vast selection of fine Italian wines, table-side preparation and service. Guests will experience dishes like Melanzane Parmigiana (eggplant Parmesan), and handmade pastas such as Busiate con Granchio (spiral pasta with crab), ‘Ncasciata al Forno (Sicilian baked pasta) - served tableside. Other dishes will include fresh fish, richly flavored steaks and chops.